Camps at Kambrya College offer students experiential learning and the opportunity to collaborate and acquire new skills. We offer various trips to Central Australia, Tasmania, Outdoor Education Camps, Year 7 Forest Edge and Year 12 Study Camp at Somers. 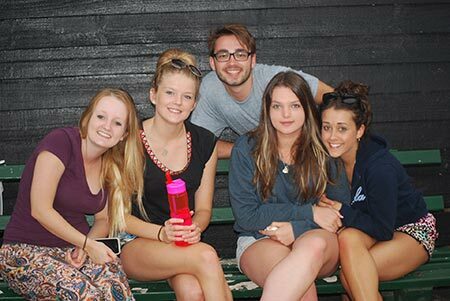 All of these experiences see students stretch themselves socially, physically and mentally by meeting new people, trying new things such as the high ropes course or flying fox at Forest Edge or challenging learning at Study Camp in Year 12; all whilst getting to experience the great outdoors. Camps at Kambrya College are an integral part of the school program and all students are encouraged to actively participate in the camps program. 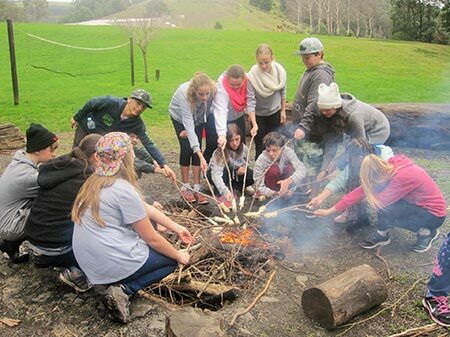 A compulsory camp for Year 7 students, they will have the opportunity to participate in a variety of valuable learning experiences at Forest Edge in Neerim East over a four day period. All students will have the opportunity to further develop relationships that they have forged with their peers and teachers during the first half of the year. This camp promotes the development of social skills in a setting that puts learning into context. 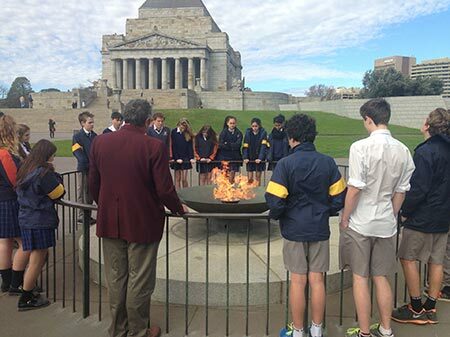 Our Year 8 students are fortunate to have the opportunity to travel to the Apple Isle – Tasmania. The five-day camp sees students fly to Hobart, staying at various locations throughout the trip. 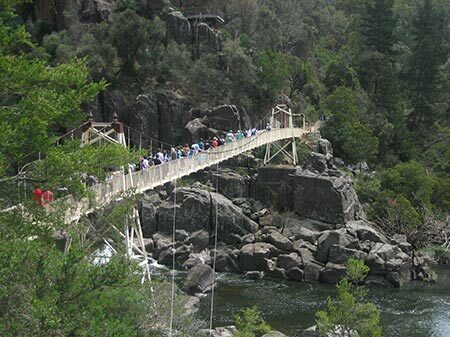 The tour visits sights in Tasmania, such as Port Arthur convict settlement and ghost tour, Bonorong Wildlife Park, Mt Wellington, and Cataract Gorge. For one week during the year, the city of Melbourne becomes the classroom for all our year 9 students. It is a highlight of the year 9 program. The Central Australia 10 day tour is a camping tour of SA and NT with a focus on introducing Year 10 students to the wonders of the Australian Outback. 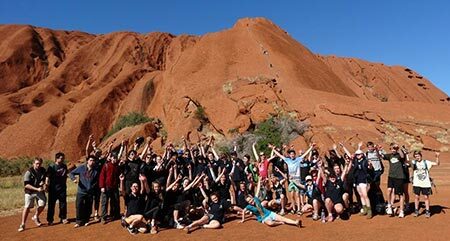 The trip aims to cement the bond and team work skills of students, whilst visiting sights such as Uluru, Katu Tjuta, Kings Canyon, Coober Pedy, and Alice Springs. Each year students in year 11 have the opportunity to participate in the Debutante Ball held in June. This event is an outstanding future of college life as students progress through the school. The study camp is a three day camp designed to help Year 12 students prepare for their final year of secondary schooling. Key aspects of the camp are the enhancement of relationships between staff and students, learning stress management and ways of relaxation, developing time management and many other vital skills required for success VCE or VCAL. The camp is held every year in February at Lord Somers Camp. Attendance is expected for Year 12 students.